Additive manufacturing technology and solutions will be discussed at the round table ‘Additive Technology as a Key Component of the New Industrial Revolution’. This event will take place from 2:00 PM till 5:00 PM on May 15 in the Green Hall of the Main Media Center. 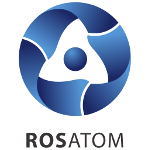 The round-table discussion is organized by Rosatom’s TVEL Fuel Company. Its participants will talk about the development and application of additive (3D printing) technology in the energy industry and other areas. Much attention will be paid to environmental safety of materials used in 3D printing. Alexei Dub, CEO of Rusatom Additive Technologies, and Blanka Szost from Oerlikon AM (Germany) will serve as moderators. Representatives of national and international manufacturing companies and developers of additive systems and solutions will attended the meeting.